Welcome to our website. Topspot Boarding Kennels and Cattery provide the highest quality care for your dog and cat. You can relax knowing your dog is being cared for with all the creature comforts they were used to. Each kennel is separated by solid walls. We have separate accommodation areas for tiny toys, medium and large dogs. Flow through fresh air ventilation is built into the design with additional evaporative cooling for summer and heat lamps for winter. Each cat unit is separated by solid walls. This gives your cats privacy and minimizes cross infection of airborne infectious diseases. Our boarding kennels have individual sleeping quarters and their own run. Each kennel is separated by solid walls. The cattery is designed to be welcoming and homely, meaning your cats feel right at home. Welcome to our website. Topspot Boarding Kennels and Cattery provide the highest quality care for your dog and cat. Welcome to Topspot Boarding Kennels and Cattery. We genuinely care for your dogs and cats. Our kennels are very comfortable - warm in winter and cool in summer. The owner of Topspot Boarding Kennels lives onsite and a vet is always on call, 24/7. We also provide a unique short-stay service “Doggy Daycare”. For more information or to make a booking please contact us on 08 8388 8272. On site inspections are welcome. 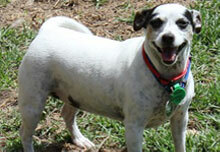 Adelaide Hills Vets choose Topspot as their preferred boarding kennels. 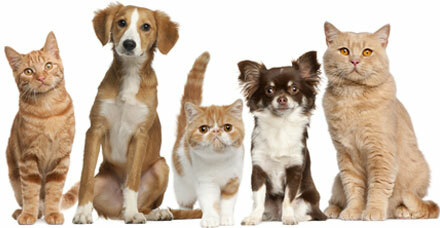 Pet Boarding Kennels and Cattery with Doggy Day Care and Cat Care – Offering the Highest Quality Care for your Pets. At Top Spot Boarding Kennels & Cattery, we provide a special home away from home for your little furry members of the family. Whether it’s pet boarding for an extended holiday, short-term stay of a few days, or Doggy Day Care, your pet will feel right at home in our comfortable custom kennels, cattery and play areas. We genuinely care for your dogs and cats, providing comfortable pet boarding facilities that are cosy and warm in winter, cool and relaxing in summer. With the Top Spot owner living on-site, and our vet always on call, 24/7, your pets are in great hands. 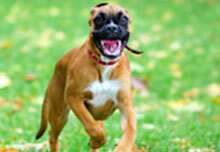 Our special Doggy Day Care service provides your pooch with the ultimate in pet boarding comfort. Fully enclosed grassed areas allows them to run around and play safely in a group environment, offering fun and adventure. If they prefer to have some downtime from the pack, they can be kept on their own. Your dog will be provided with a separate kennel, complete with a comfy trampoline bed. 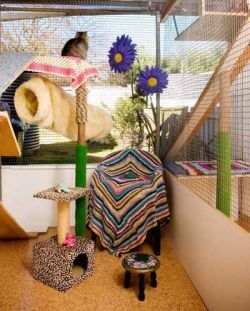 Designed with a homely feel, the Cattery, provides a familiar territory for cats, with vinyl floors and screen doors, just like at their place. There’s plenty of flow-through fresh air, with additional evaporative cooling during the heat of summer, and cosy warm heat mats to stave off the chill of winter, making for a stress-free pet boarding experience. The Cattery area is secured adequately, enabling your cat to explore freely and safely during cleaning times. And they even get to explore the playpen on a rotational basis. At Top Spot Boarding Kennels & Cattery, we strive to make you and your pets’, pet boarding experience, as stress-free and enjoyable as possible. It doesn’t matter if it’s Doggy Day Care, a short stay, or an extended holiday, we like to make your pets time with us as much like home as we can. Copyright ©2019 TopSpot Boarding Kennels & Cattery All Rights Reserved.